I will admit that I secretly quite enjoy watching Barbie DVDs with the girls. There is something absolutely spot on about a Barbie movie - the target them so well at little girls of about Lara's age without them being unecessarily naff (which lots of kids TV is!). The new Barbie and the Secret Door DVD is released today and I think they've got it just right again - an animation that ticks every box on ever little girl's list of movie must-haves. In this latest Barbie musical, Barbie stars as Princess Alexa, a young girl who daydreams of having magical powers. One day she stumbles across a magical kingdom and makes new friends, a mermaid and a fairy, who need her help to save all of the magic in the kingdom from the hands of an over-zealous ruler. We loved the funny magical creatures with crazy noses and lively bright colours. We loved the synchronised fairy dancing, pop musical numbers and glittery magic wands. I can well imagine, after a few viewings, Lara trying to sing along and re-enact the songs and dancers with her friends. If you buy the DVD I believe there is an in-pack song book to help them on their way!!! Barbie and the Secret Door opens up a fun world of imagination - what would you do if you suddenly discovered that you had magical powers? What parts of your world do you take for granted that others might not know about? 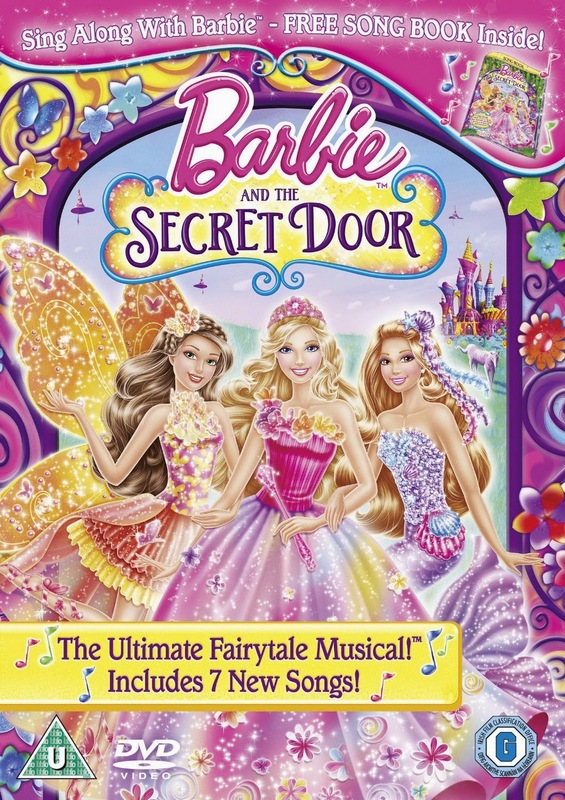 Barbie and the Secret Door is available to own on DVD from today.